Martin Heskier, CEO of Heskiers, LLC, is a licensed acupuncturist and experienced bodyworker. He has practiced in multiple techniques, and speaks internationally on optimizing health and treating pain naturally. 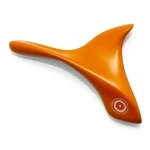 He designed products for numerous companies worldwide before developing and manufacturing the Heskiers® OneTool™, a device for use with interstitial fluid, trigger points, massage and gua sha. He also created the Heskiers Method, an approach to connective tissue treatment that increases the flow of interstitial fluid.